When I first started teaching, I’d forgotten what it was like to have to practice while my friends were watching TV or playing outside. Although I always enjoyed attending my lessons and performing, practice was something that often got in the way of being a kid and making the most of my afternoons. As an experienced teacher and mum, I know all too well just how hard it is to motivate our kids and students to practice, not only regularly but effectively. Today, I’m going to share with you the violin practice tips that I have developed over the years, not only to help my students but also my own five children. The first and most effective way to encourage your little violinist to practice is to get involved and help out where you can. If you don’t do so already, talk to your child’s teacher about attending lessons. Although you may not be able to assist with the technical side of their progress, you want to develop a genuine interest in their music and have an understanding of what is required of them each week. Try to find time to sit with your child as they practice; even if it’s just being present in the room while they play. If you can, offer encouragement and remind them of anything you heard their teacher say during the lesson. 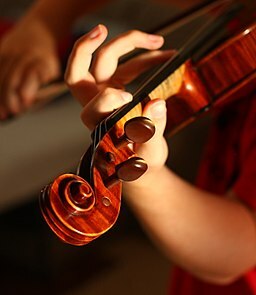 You don’t have to be a violinist or even know anything about music to make a positive difference to your child’s progress and improvement; simply taking an interest in their practice routine will do wonders for their confidence and progress. If you are lucky enough to play a musical instrument, join in where you can; you don’t have to be brilliant, your child will LOVE making music WITH you and want to improve to be as good as you. Although it seems obvious, practicing to IMPROVE is a concept which many students and their parents don’t understand. 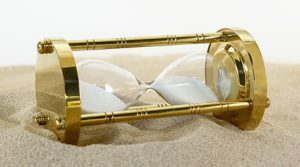 Setting a timer for 10 or 20 or even 60 minutes does not automatically equate to improvement and progress. When I first started teaching, I’d give each of my students a set amount of time that they should be practicing per day. 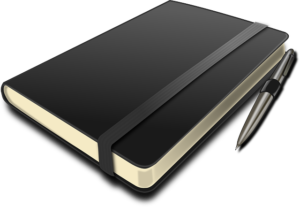 For my beginners, I’d draw 12 little boxes in their notebook and ask them to tick a box each time they finished a 10-minute session. It wasn’t long before I started to realise that something wasn’t working; the boxes were getting ticked but progress was slow and the students continued making the same mistakes each time I saw them. Nowadays, although I guide my students as to how long they should be practicing for their age and level, I don’t make time a focus. At the end of each student’s lesson, I’ll write down some ‘goals’ that they should be working towards achieving before they see me next. 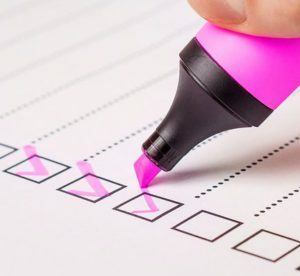 These three items are not the only things that Natalie will be practicing over the week and will only take approximately 10-15 minutes to do well. What’s important is that Natalie won’t be looking at the clock, she’ll be focusing on achieving each of the goals that I’ve set and this will encourage her to practice purposefully and effectively. Although you want to encourage your child to play for the love of music, this love often takes a while to develop. In the meantime, a packet of stickers can do wonders and can be used at home or after lessons. 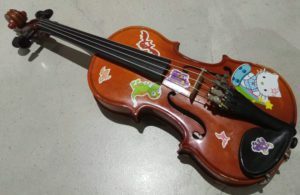 Here’s a violin that belongs to one of my little students. As you can see, we’ve decorated it quite extensively with dinosaur stickers, each of which has been earned through achieving certain goals. You don’t want to overdo the stickers or let them become an expectation but used effectively, stickers can get a little student over a practice ‘hump’ and back on track. If you turn this violin over, you may be surprised to see a smiling face looking up at you. This is ‘Joey’ and Joey loves making beautiful music. Personifying the instrument has been a key factor in encouraging Joey’s owner to practice thoroughly and without fail each and every day for the last 3 months. For my own little children, I find mornings to be best for effective and thorough practice; they are fresh and happy to do their best. My older daughters are always grumpy in the mornings and because they leave for school quite early, afternoons and evenings work best for them. There’s no use doing ineffective practice or practice for the sake of it. As mentioned earlier, you want to practice to improve. Choose a time that works best for you and your child. If you’re in a rush to get to work or have to be somewhere else within the hour, it’s probably not a good time to begin a practice session; you don’t want to come across as rushed or stressed! 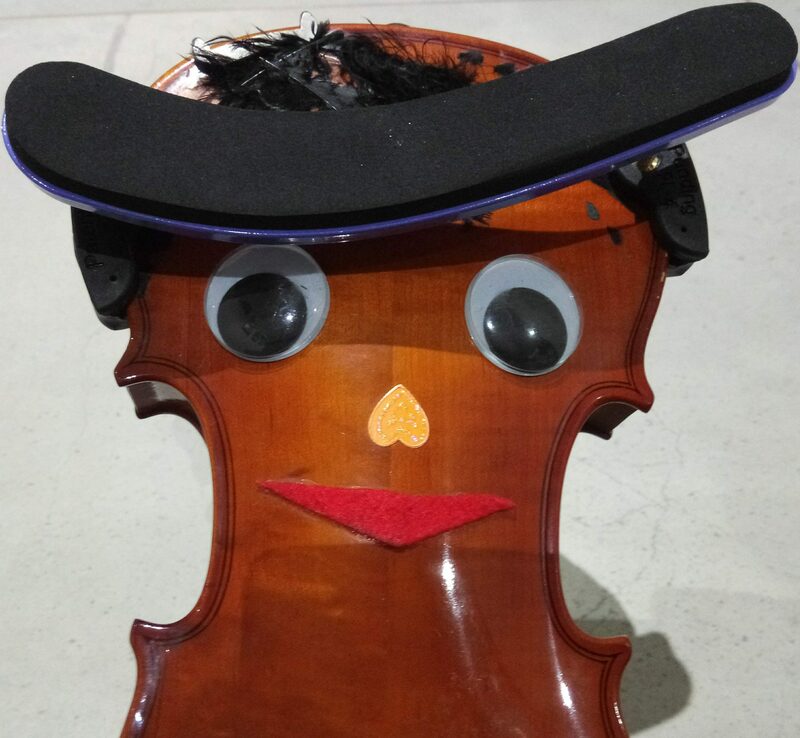 Upon visiting one of my students for a lesson, I was horrified to find that their music stand and violin were set up in the playroom; a place where younger brothers and sisters were running around and playing with dolls and cars. There was no way that this student could concentrate on their violin playing and no way that any significant improvement or learning could take place. Set your child’s music stand up in a designated, quiet place and ensure that practice takes place in this same place every day. Now don’t get me wrong, we do make these three parts exciting but the point I’m making is that they are part of a lesson routine. At home, you’ll find it much easier to instigate positive practice if you have a specific time allocated. Perhaps it’s between breakfast and teeth brushing time, or between afternoon tea and a favourite TV show. Find a time that works and stick to it. Nobody became brilliant at anything overnight! Learning to play the violin takes time, and a lot of it. If you see that your child is becoming bored or frustrated with any one thing, move on to something else. It’s SO important to make practice time a positive experience for your developing musician. Always finish practice on a positive note; there’s no use pushing through an extra round of twinkle exercises when your child is clearly not enjoying themselves. This will simply give them a negative feeling about their practice and make it harder for you to resume the next day. Many of my students like keeping a practice diary. This is simply a little book which records all the important things to remember from your lesson as well as the days you practice and the hurdles you’ve experienced. It’s quite satisfying to look back over the book and see just how far you’ve come. Even the most advanced students need a rest day each week. Not only does this provide something to look forward to but it gives your brain and body a chance to recuperate and freshen up for the following day. My own children choose a rest day each week based on their sporting commitments. So, for example, my second eldest daughter does a figure skating class on Saturdays. Because she leaves early and comes home quite tired, Saturday is a perfect day to take a rest from violin practice. Does your teacher have other students around the same age and level as your child? If so, why not get to know these other children and their families? they’re no doubt going through the same highs and lows as you are! 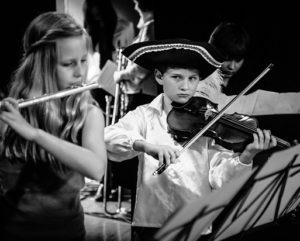 As your child progresses, they’ll enjoy having friends who take part in the same exam sessions, competitions, concerts and recitals as they do. They’ll be able to play duets together and egg each other on for upcoming performances hence making learning the violin a more ‘normal’ part of life. I just couldn’t leave this one out! The single most important thing is to make music, and in particular the violin something fun and exciting for your child. As a parent, you may have hopes and dreams of your child excelling in AMEB exams or achieving a music scholarship to a prestigious private school. These things are only possible if the student actually ENJOYS the music that they are playing. I know what it’s like to practice with young children; I have five of my own! It’s not always fun but the rewards far outweigh the tears, you’ve just got to be persistent and patient. ← Best Violin Shoulder Rests – Let’s Get Comfortable! Such great tips. 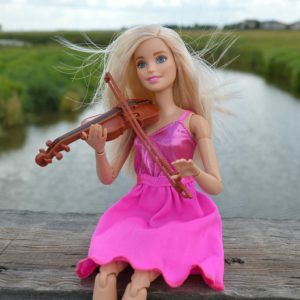 These tips will not only help me learn how to make be good in violin but it will help me master many things in my life since I am a dance coach. I will be using all the tips here. I have observed that by getting involved with my dance students and practicing regular their is a lot of progress. Hi Thabo and thanks for your comment. I think music and dance are similar in that they teach children discipline and persistence. I’m so glad I could be of help to you. Great tips to learn music.This not only motivates children but also elders. I play keyboard. This is really motivating and I will follow this and make as a routine. Great tips! I especially like #2, “practicing to IMPROVE” not just set a timer. I stress this with my girls who both play piano. Now if I could just keep them from being distracted by their pads and phones I might not need to ever ask them to practice again. Thanks so much for your comment. Technology is a real double-edged sword; getting distracted by social media is a huge problem but using your device to listen to scales, exercises and pieces is really helpful and something I never had when I was a student. Best of luck to your girls and if you ever need a hand with anything, don’t hesitate to ask. These sound like really good tips! 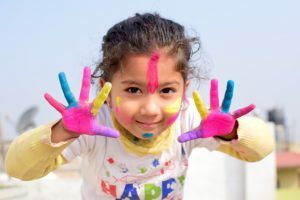 If a child is going to learn to play, then they have to enjoy it. If you enjoy doing something, it makes it a lot easier to become good. you’re so right; so many parents get it wrong and make practice a chore. You can’t inspire a love of learning like that! That is the key to musical success. Not necessarily a routine, but anything consistent over a long period of time has such a massive impact that most kids quit before they even realize it…especially when they grow older. Thanks for your comment, Waj. You are so right! This is great, my granddaughter plays, (and needs the motivation sometimes) I’m going to send her this link. Thanks for sharing. These are excellent tips! I took piano lessons for five years as a child and absolutely hated practicing! I avoided it whenever I could and as a result I don’t really know how to play the piano today. Which is something I regret. I think the practice goals instead of time tip is the best. If I had done that perhaps I would have practiced more and been able to play the piano today. This is such a great post! Thank you! I would love to have my daughter learn a new instrument when she gets old enough! I have always wished that i learned how to play an instrument at a young age! My daughter LOVES music, she just recently started dancing to any music that plays! I will definitely implement all your great advice! Hi Marketa, great tips on how to motivate your young violinist. These will be a great help to those youngsters and parents. I regret not learning to play an instrument when I was younger. I have to take the blame though as my parents encouraged me. You are providing a great service. you’re never too young to start so don’t feel like it’s too late! Make it fun and have fun is so important if you learn to play a new instrument, playing sports etc. Thanks for your advice, I will remember them! Hi Jan and thanks for your encouraging message! I played guitar for years and some of the best practice sessions were those where I could just play songs I enjoyed rather than just classical pieces for the exams! Worth a shout; you can get books full of sheet music for film soundtracks for example! you’re so right! The problem with this is that students often don’t have the ability or skills before they start wanting to branch out into the more enjoyable repertoire. Once you’ve developed your basic technique, however I definitely recommend playing pieces that you enjoy. These are really great tips you have posted here! I personally do not play any instruments, but I always wanted to learn to play the piano and would love to own one someday. I do like to listen when someone plays the violin though. Music is such a gift and if you do feel that you’d like to learn the piano, I recommend giving it a go – it’s never too late to start!